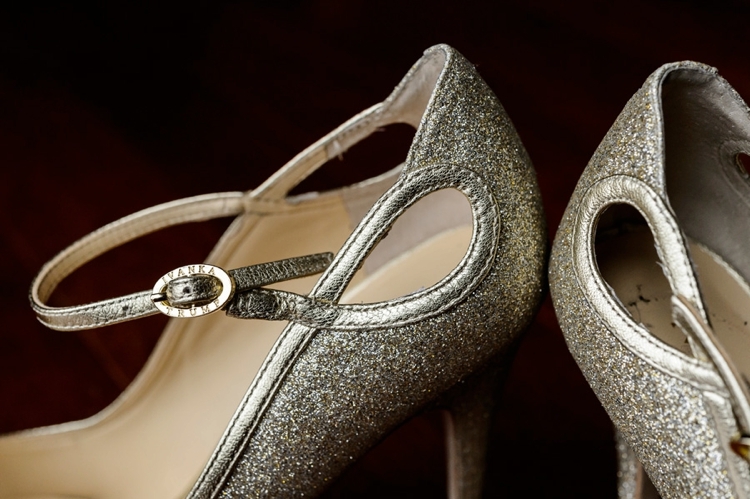 Top advice from this morning’s bride, Melody, and yes she did! This is a wedding EXTRAVAGANZA. Seriously — I’ve never seen anything like it and the truth is, I don’t even know where to begin. 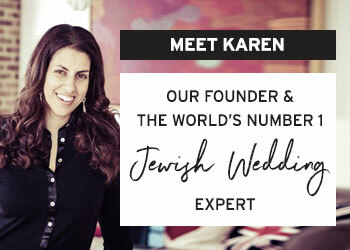 Perhaps I should start by saying that I think this is one of my favourite weddings EVER to appear on Smashing The Glass and having blogged over 150 super cool real Jewish weddings I don’t say that lightly. 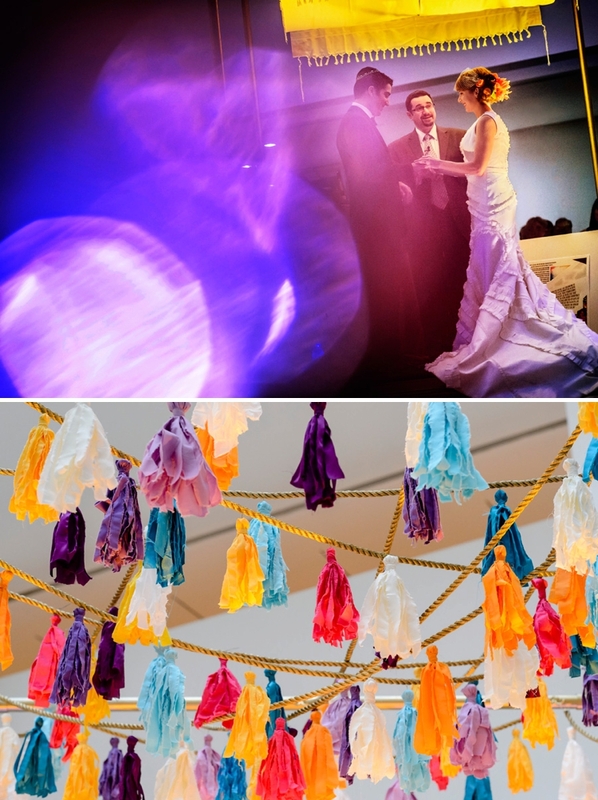 I love that the chuppah was created by the bride and features multi-coloured pom poms and green grass. 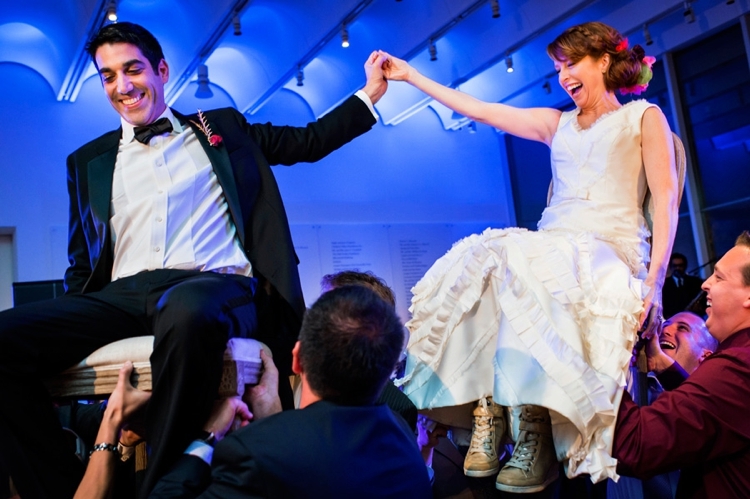 I love that Melody walked down the aisle to a mash-up of Forever Young and Canon in D. I love that the bride and groom both wore custom Converse with ‘Let Love Win” embroidered down the side. I love that instead of the usual sit-down dinner, guests were treated to a ‘pop-up’ restaurant, where they had to make a reservation and come back for their table. 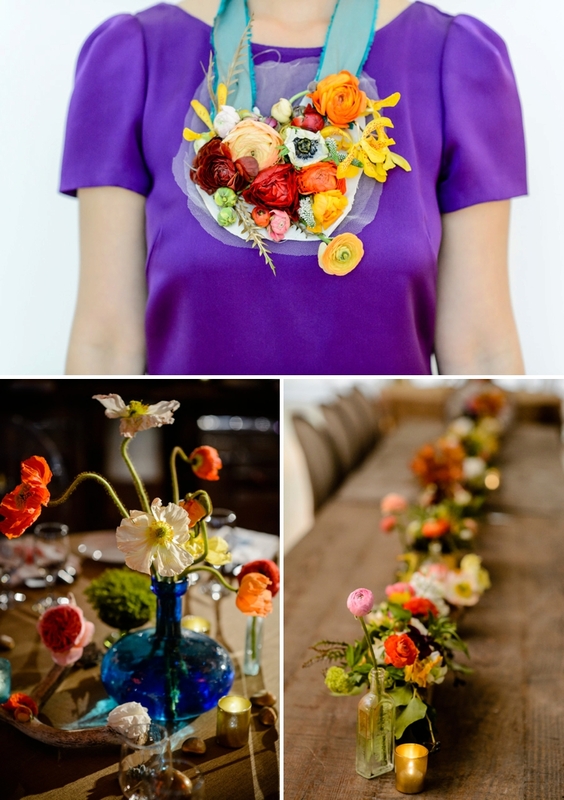 I love that the bridesmaids wore flower ‘bib’ necklaces (yes Melody made that a thing!). 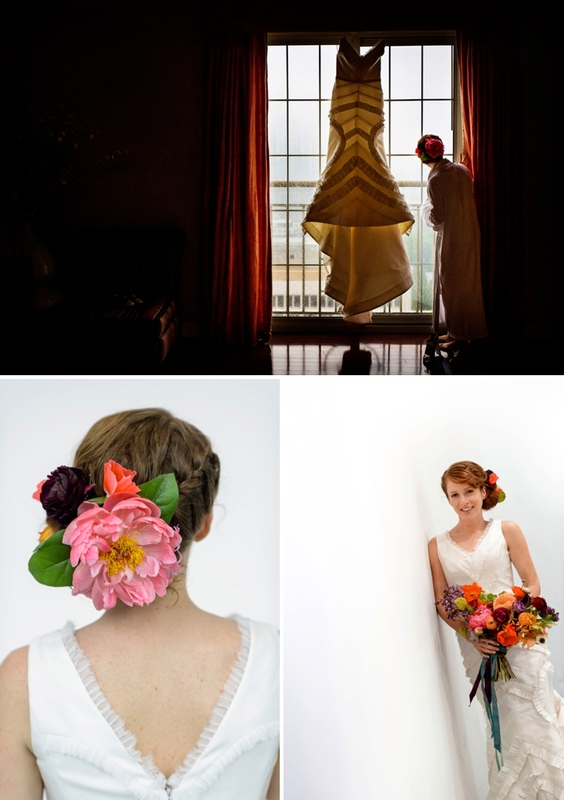 And I love that the wedding theme was inspired by the artist Frida Kahlo and her vibrant colour palate. 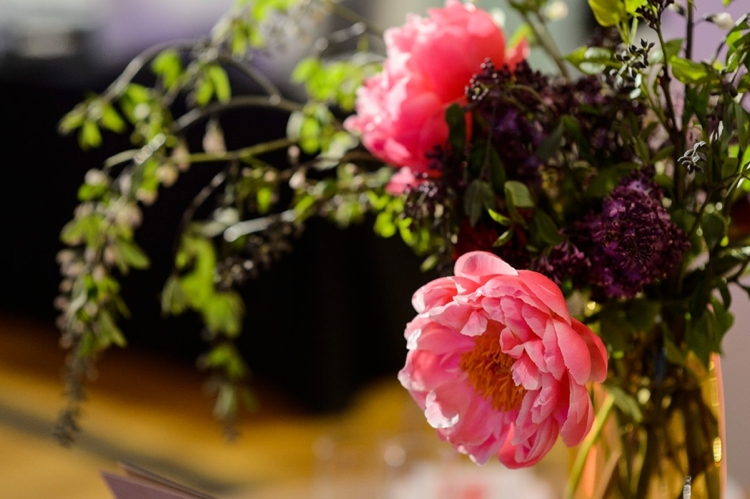 You see… anything can inspire your wedding theme, literally anything! Think outside of the box, and as far as your mind can take you. There is also a a drag queen performing as Beyoncà© AND a flash mob of kids ‘interrupting’ the first dance. You have to see it to believe it (check it all out in the highlights video at the end by the super talented Rodinis Films). Oh and gummy bears are loosely woven into this the big day too. 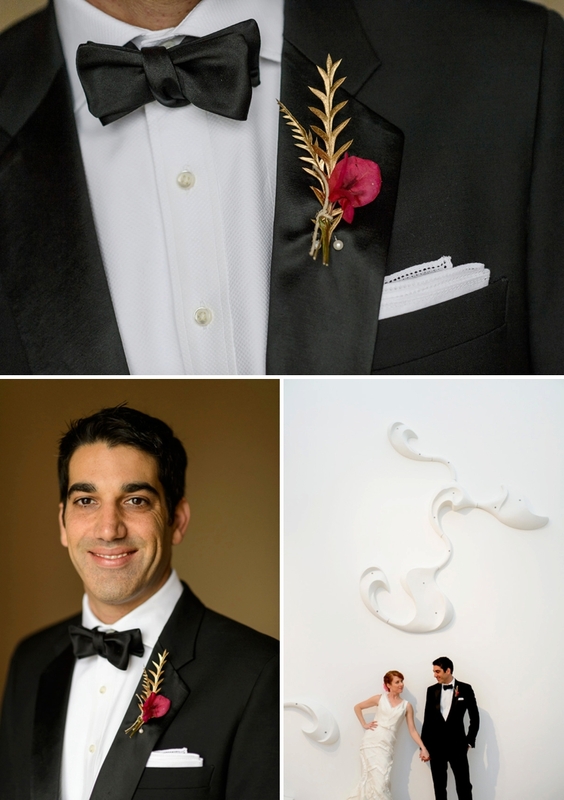 The whole shebang was documented by photography geniuses, Chrisman Studios. 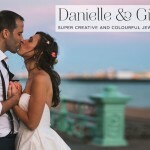 Every time I feature one of their weddings I know it’s going to be a memorable post, but this one is an absolute corker. It’s clear that Melody and Michael invested so much time and effort into making their wedding uniquely them and I can’t wait a moment longer to show it to you. Come on then… let’s take a look. Over to Melody, today’s awesome bride. 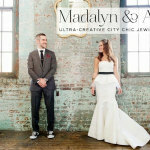 Melody, the Bride: We met through Mellow Mushroom (a national pizza franchise in the USA). Michael is a multi-unit franchisee, and my father is one of the founders of the company. My dad introduced us, he thought we would make a good match. We fell in love over pizza! 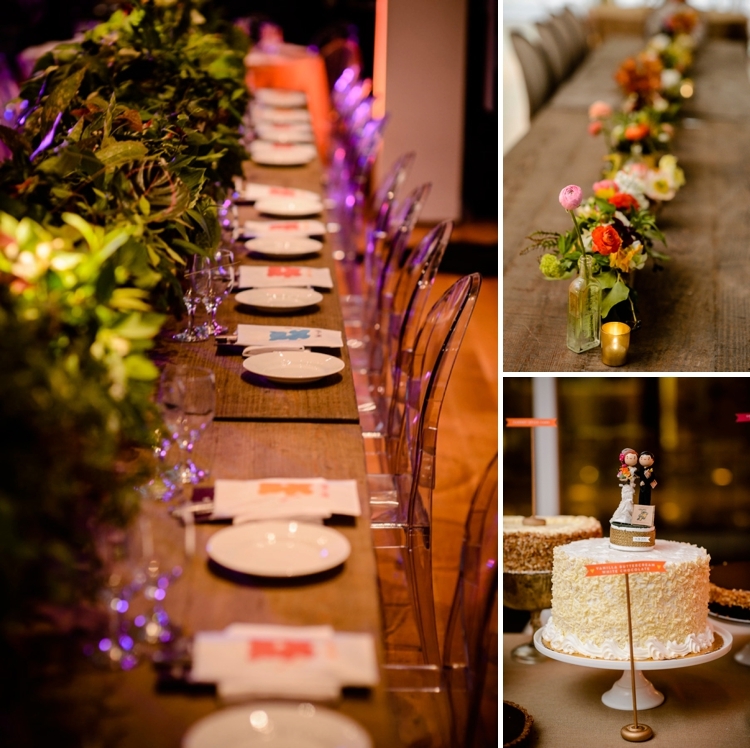 A ‘wedding playground’ — creating a wedding that was all about us! You don’t always have to follow the “rules”. 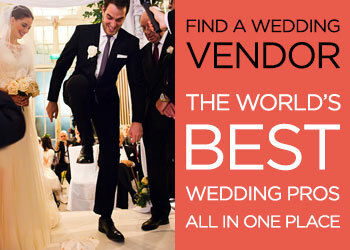 Just because the wedding industry encourages conformity, you don’t have to comply. Do it your way! We had a cocktail reception before the ceremony so people could get a little loose and not be starving until dinner. We placed all the chairs in a circle, rather than rows. We created a pop-up restaurant instead of the same old-same old sit down dinner. We broke all the rules. 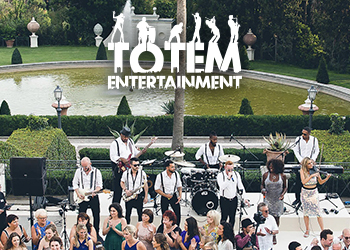 People told us that it was the most intimate wedding they had ever been to, and I think that’s because we made it personal and we made it fun in a non-formulaic way. Someone told me it was like a “wedding playground”. We were having fun, and so were they! We got married at The High Museum of Art in Atlanta, Georgia. We picked this location because we both love art and architecture, and it encompassed both, being designed by Richard Meir and Renzo Piano. Also, I am a huge fan of Frida Kahlo and there was an exhibit at the time of Frida & Diego (Diego Riveria), it was all about their love and their live and the art they made together and how their love informed their work. Seemed a perfect fit for a wedding. We kept the museum open to our guests and they were able to explore the entire special exhibit before the wedding, during the cocktail reception. a vibrant colour palate with splashes of Pop Art… and gummy bears! 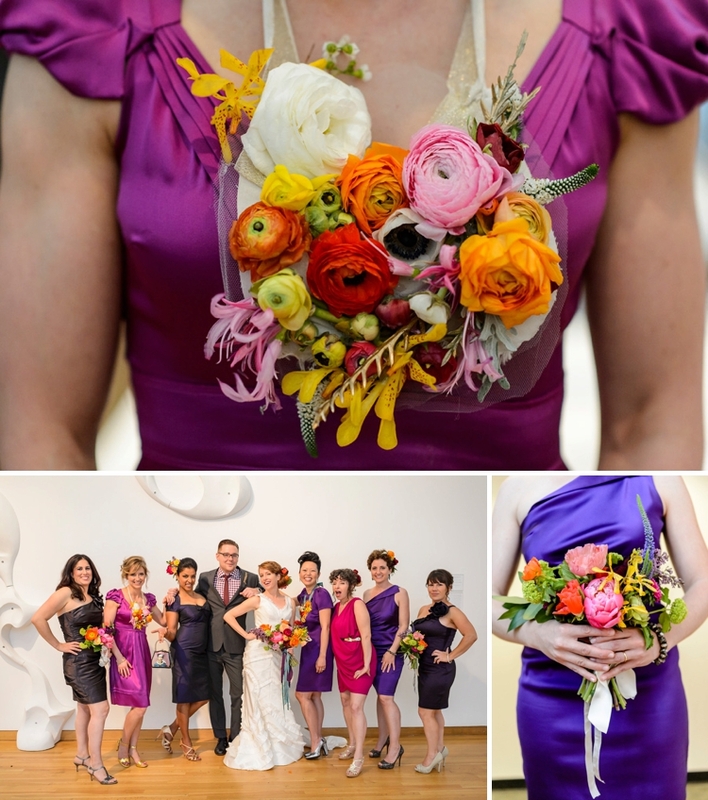 We went with lots of colours, and the aesthetic of the wedding was inspired by Frida Kahlo and her vibrant colour palate. 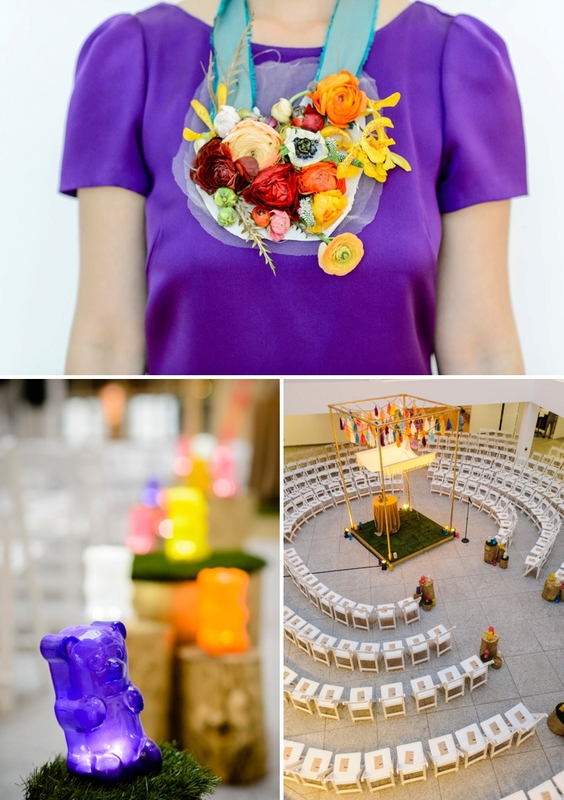 There were also elements of pop art in the wedding (again the modern art museum theme), including glowing gummy bears along the aisle, perched on top of tree stumps painted shiny gold. Also, I constructed, designed, and made the chuppah with the help of my brother and best man. 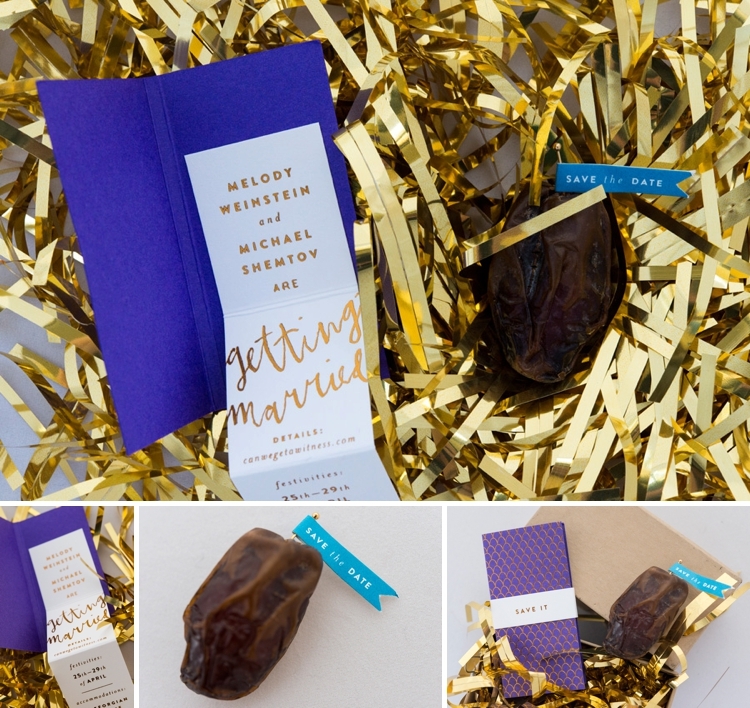 Our Save The Date was an actual mejool date in a small box, nestled in a bed of shredded gold mylar. It had a tiny flag sticking out of it that read “Save the Date”. The Save The Date was a tiny booklet that popped out when you opened it. The invite was specially designed for us by Stitch Design Co in Charleston, SC. 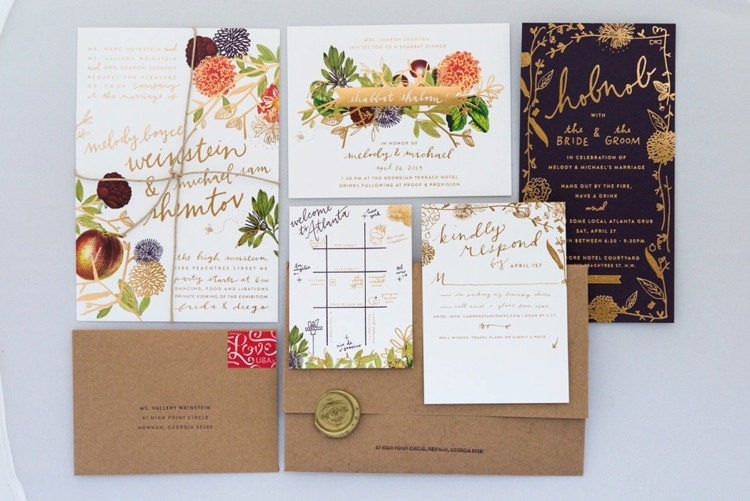 It was inspired by the botany drawings of David Attenborough, and incorporated gold foil elements as well. The dress was a Carolina Herrera dress, called the Virginia. It was inspired by the author Virgina Woolf and was part of a Herrera collection of dresses inspired by strong women in history. We’re both big fans of literature and books in general, so I loved that it was inspired by, and named after, a historical figure, and a strong woman at that! 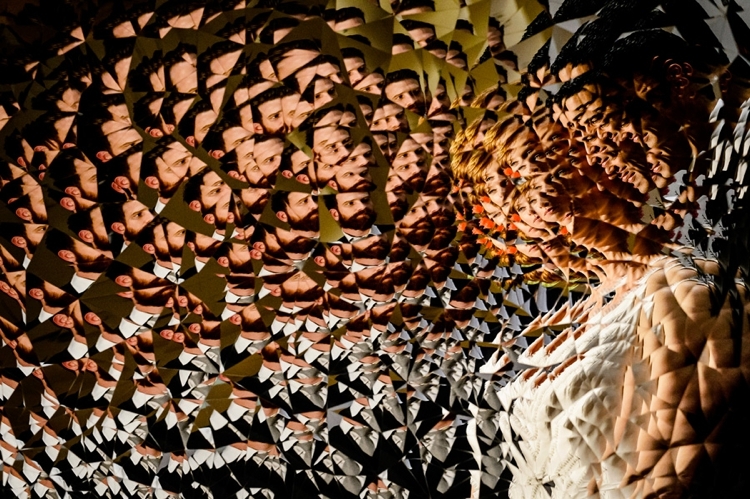 It had jagged squares (bits, shreds?) of fabric all over the dress in a chevron pattern, a chapel length train, and a very structural look. Appropriate for a wedding in a contemporary art museum. 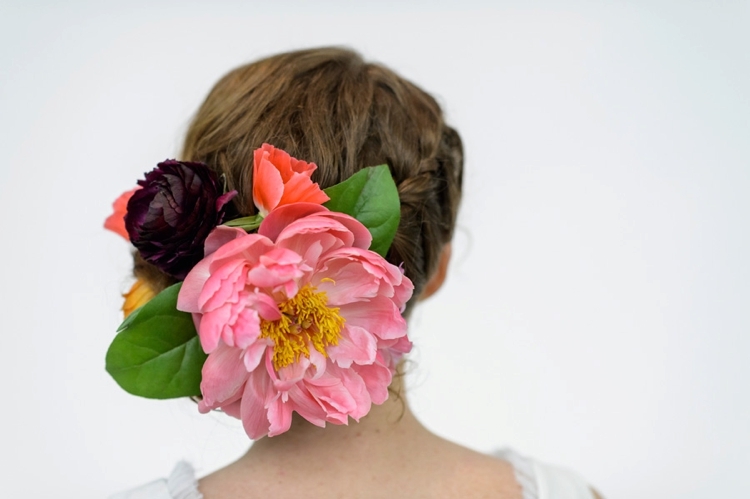 Incorporated in my hair was a lot of fresh flowers, inspired by the flowers worn in Frida Kahlo’s hair. 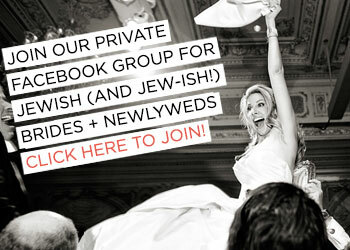 I wore a small birdcage veil when I walked down the aisle and recited vows, in the Jewish custom of covering your face. Michael wore a Marc Jacobs tux and shoes, and looked so handsome! As a gift for him on our wedding, I made custom Converse lo-tops that had the words “Let Love Win” embroidered on the side. I made a pair for myself as well. His were black, mine were purple. He may have changed into the Chucks for the reception. I had seven bridesmaids, and one man of honour. They each picked out their own dress, in any shade of purple they wanted. My man of honour wore a grey suit like the groomsmen. 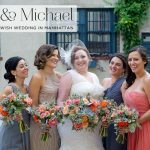 We worked with our florist to create unique flowers for the bridesmaids – a few had bouquets, others had flower crowns in their hair, and others had flower “bib” necklaces draped around their necks, just for some variety and playfulness. 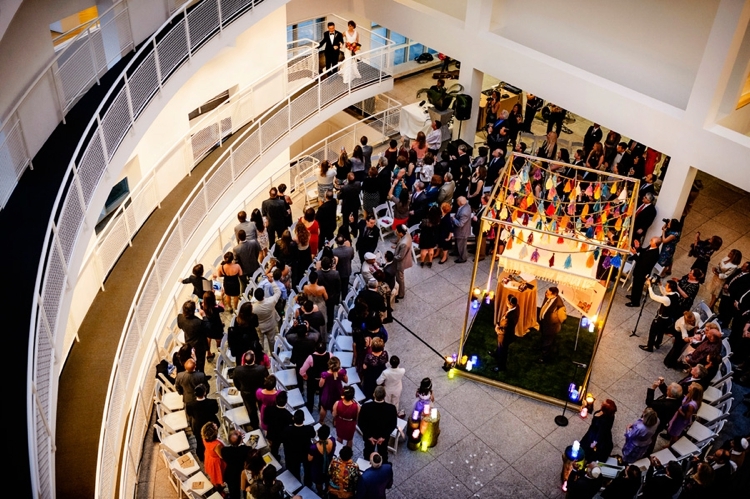 The ceremony was in the main atrium of the museum, and my entrance was down a zig zag ramp, starting on the 2nd floor and making my way down. 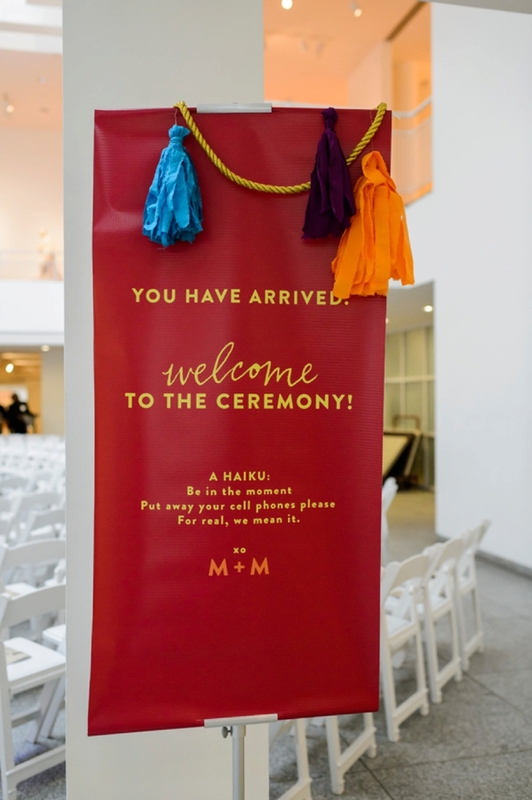 The guests were arranged in a full circle around the chuppah, which was constructed on site and sat at the centre of the circle. I wanted a circle because I felt like it would be the best way to capture all the energy and concentrate the love in the center of the room. We wrote our own vows, and didn’t share them with one another until we recited them in front of all 350 people. I really wanted to design and build the chuppah myself, since it’s so symbolic and it represents the home we’ll build together. I designed it with my brother and my man of honour, and we fabricated it from scratch. My brother did all the welding metal work, and my best man and I made all the multi-coloured fabric pom poms, they were an homage to the Frida Kahlo Mexican art style. 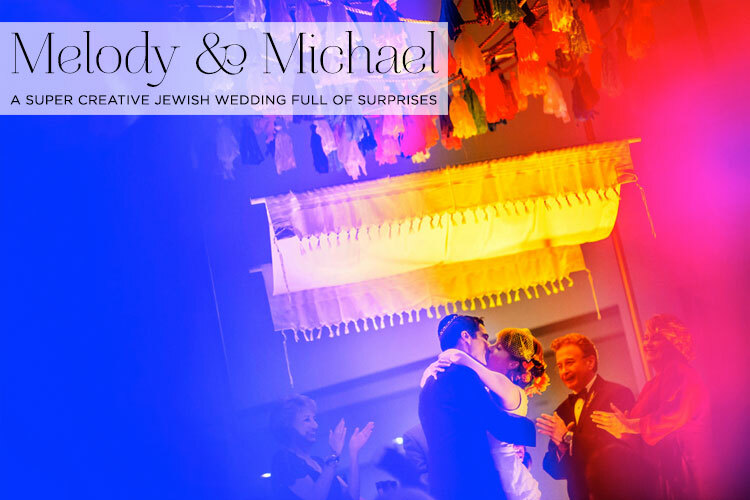 The talit was brought to us from Jerusalem by Michael’s mum, which we suspended in mid-air below the pom poms. I always wanted a back yard wedding, so I lined the platform base of the chuppah with bright green grass, which represented the “back yard” element. Processional was performed by Bobby Yang, a rock violinist and friend. We chose a different song for every man of honour/bridesmaid combo. I walked down to a mash-up of Forever Young and Canon in D. Michael walked down to I Can’t Wait a popular 80s song. Recessional was Prince’s Let’s Go Crazy, which was also the song the band was playing live as everyone moved from the ceremony to the reception, seamless audio experience! We worked with Amy Osaba, from Atlanta. Her style is very colourful, playful and whimsical. Very unexpected, which I felt matched our style too. Our photographers were Ben and Erin Chrisman from Chrisman Studios. 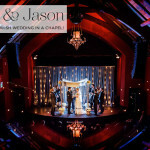 We think they are the best wedding photographers around, and were honoured to be able to work with them .Theie style is very artsy and verità©, and they really captured the energy and excitement of our big day! Catering was done by Linton Hopkins of Restaurant Eugene and Holman & Finch. We didn’t do a traditional sit down dinner or buffet, instead we had a “pop-up” restaurant, where guest had to make a reservation and come back for their table. There was a hostess and servers and menus. We’re in the restaurant biz, so this was a fun and different way to feed people that we were comfortable with. There were also a few stations scattered around, including one from our restaurant, Butcher & Bee. a flash mob of kids interrupting the first dance! We had a flash mob of kids that interrupted our first dance (John Legend’s Stay with Me) It was a local kids dance troupe all dressed like Michael Jackson performing the Thriller dance from the 1983 MJ video. 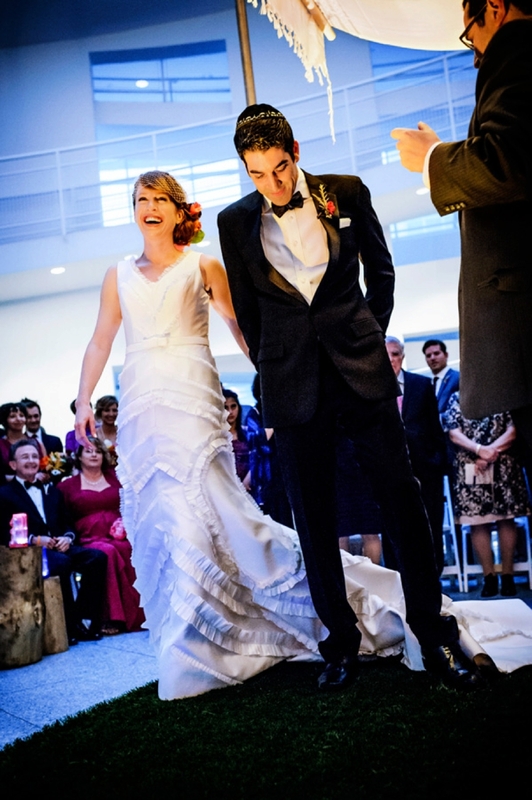 We learned the dance as well, and we did it along with them, that was our true first dance. A drag queen performing Beyoncà©! 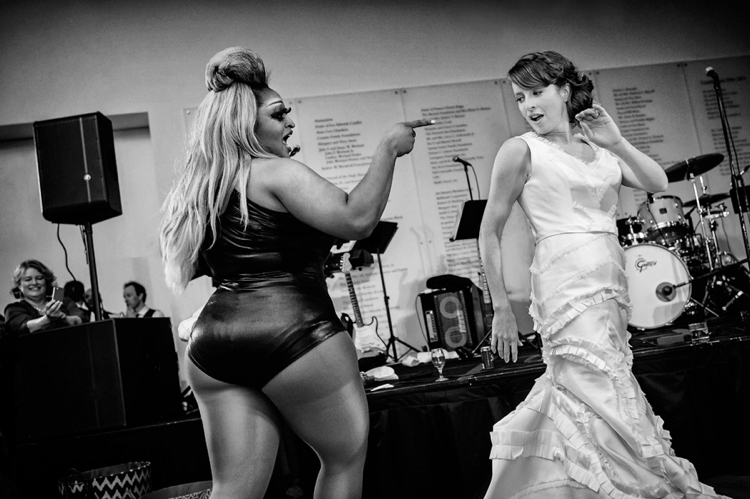 Later in the evening, we had a local drag queen names Envy Van Michaels perform the Beyoncà© song Single Ladies after which we did the bouquet toss. She was amazing, and the crowd really loved her! At the end of the night, we had the Mellow Mushroom pizza food truck for people to get a hot slice. a custom-made banana bread beer served throughout the entire weekend. We worked with a well known beer brewer from Charleston, and he brewed a custom beer for our wedding weekend. It was based on a banana bread beer that I really like. We named it “Bananas for You”, and served it throughout the entire weekend. 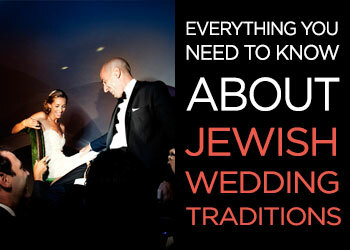 The wedding was really a three day affair, starting with the rehearsal dinner on Friday night, which was a giant Shabbat dinner for about 150 people. We served a very Israeli style meal , including a salad course with hummus, baba ghanoush, pitta, etc and a main course of Moroccan fish. On Saturday morning we offered a morning synagogue service in the hotel, and sunrise yoga on the roof. On Saturday night we had another party, for friends and work associates, that was catered by our friend Hector Santiago, he served his amazing latin inspired food. We also had BBQ and lots of beer. Then, Sunday evening was the wedding. 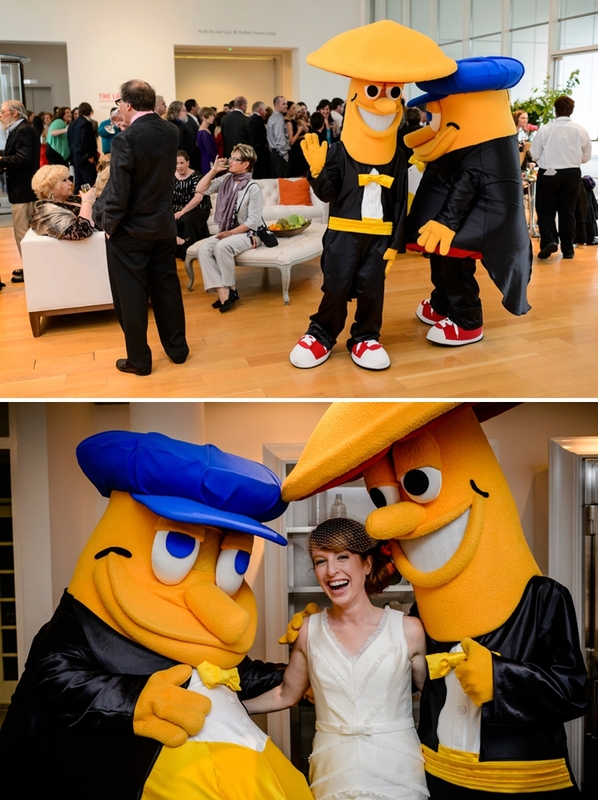 Our families are connected to the Mellow Mushroom Pizza Bakers restaurants, and so we had the giant restaurant mascots, huge yellow mushrooms, Mel & Dude, present and dressed in tuxedos and top hats to mingle with the guests during the reception and wedding. Keep it fun, it’s an amazing time in your life. Hug everyone, laugh a lot, and let loose on the dance floor! 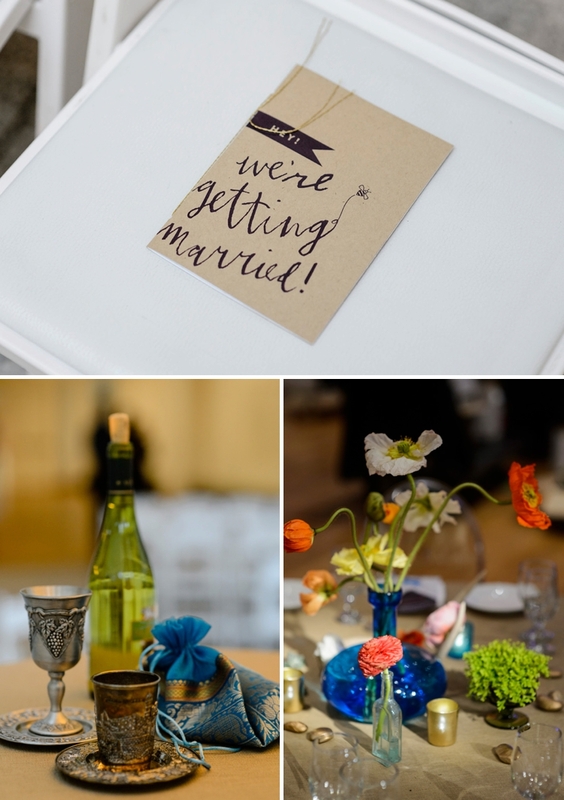 Loved reading this blog.. My kind of wedding! Lovely to hear from your Sara, and so delighted that you took so much pleasure from this wedding. It’s certainly one that I would have loved to have been a guest at – I love absolutely everything about it! Love this wedding! So colourful!! Aw thank you Jessica. I’m so thrilled you enjoy it, and hopefully draw inspiration from it! 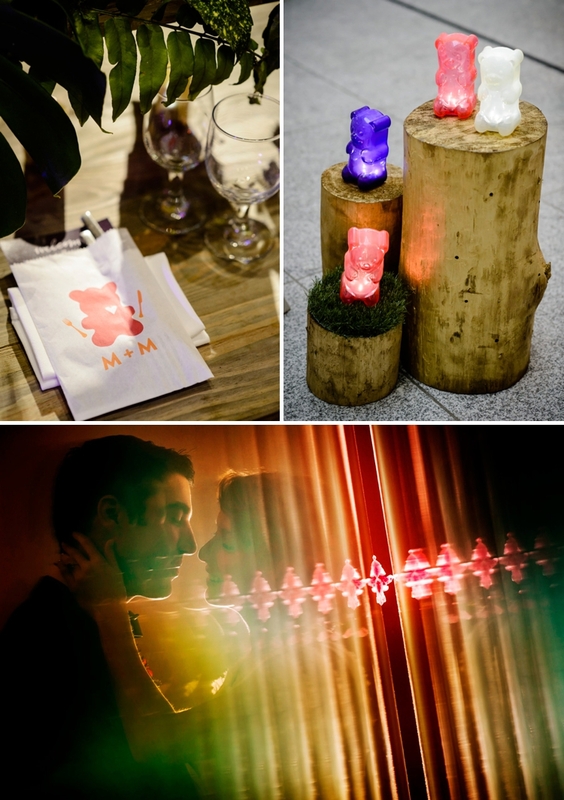 I love everything about this wedding – especially the colours, entertainment and pop up restaurant. The bride’s advice is pretty cool too.